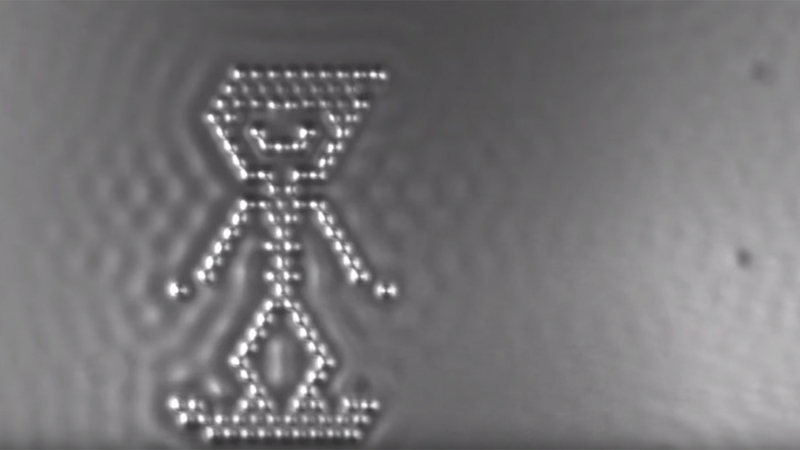 So begins IBM’s explanation as to how this corporation became Guinness World Record holders for creating the World’s Smallest Stop-Motion Film. 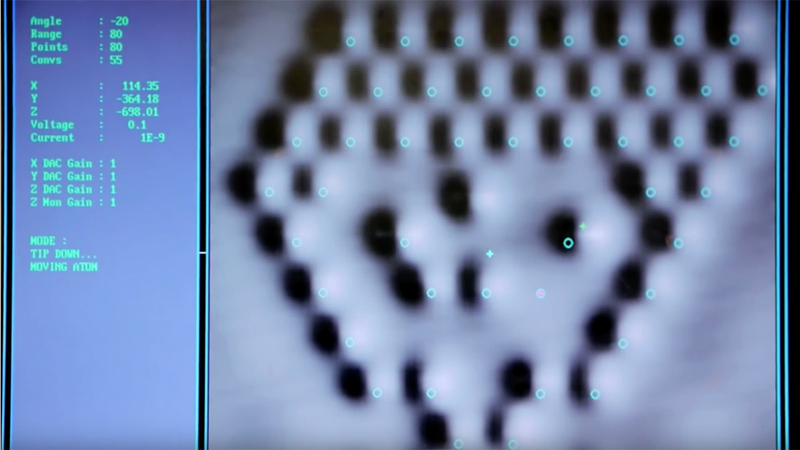 The film was created after a breakthrough by IBM scientists in 2012 who created the world’s smallest magnetic memory bit, made of 12 atoms. To celebrate the breakthrough, which could transform computing by creating the ability to store unprecendented levels of data, the nanophysicists used a scanning tunneling microscope to move atoms and create the film. The film also served as a way for the brand to start to talk to consumers about the IBM brand. Ann Rubin, VP-branded content and global creative at IBM, said the film was a means to begin communicating how IBM’s technology is impacting consumers’ everyday lives. The film is part of a broader campaign by the technology company, which also includes a ‘Making Of’ film, supporting short online films, information, infographics and educational programs for kids. There’s also a tie-in with the new Star Trek movie and more online films in the pipeline. 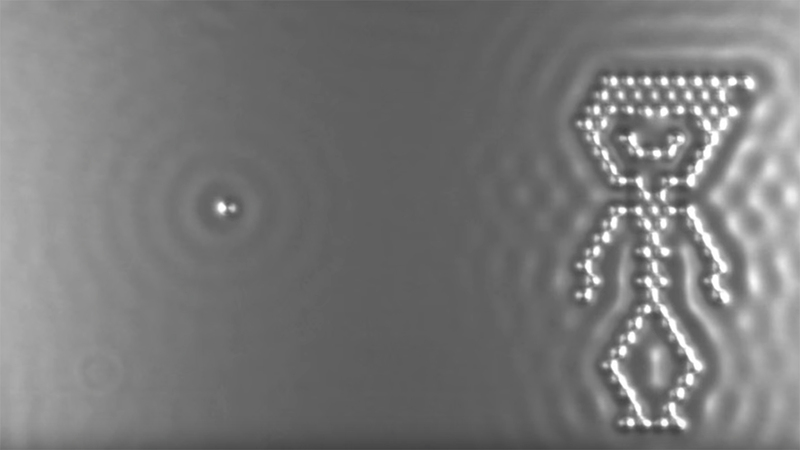 Andreas Heinrich, Principle Investigator at IBM Research, said: “Capturing, positioning and shaping atoms to create an original motion picture on the atomic-level is a precise science and entirely novel. At IBM, researchers don’t just read about science, we do it. 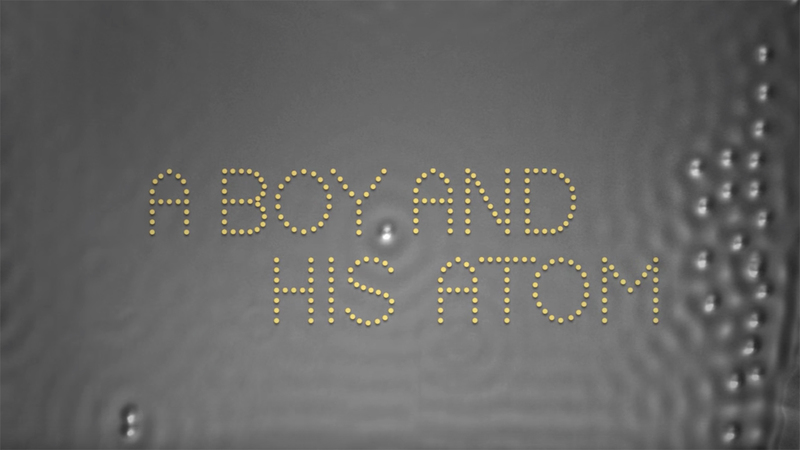 This movie is a fun way to share the atomic-scale world while opening up a dialogue with students and others on the new frontiers of math and science. IBM have taken a scientific breakthrough that is not exactly interesting or headline grabbing and made it well, interesting and headline grabbing through the film. Most significantly they’ve created an entire content platform beneath it to bring IBM’s story to life in an engaging and interesting manner. This breakthrough and its potential impact on industries is very much a business to business story, yet IBM has opted to target a larger consumer audience with a fascinating – albeit rather geeky – story. Or as IBM put it, the film represents a “unique way to convey science outside the research community”. Unique it most certainly is and as a transmedia branded entertainment campaign it’s ticking boxes, but it’s fascinating that IBM has opted for such a consumer facing brand awareness campaign for what is essentially a business-to-business offering. But is it also a corporate play to millions of investors to bolster IBM’s stock price with news and evidence this business is truly innovating? Or is it laying the groundwork for a move into an ‘Intel’ like positioning, this new technology providing memory solutions at a minute scale for other technology brands to leverage, like Apple? What is clear is that this is a major brand play by IBM and it’s playing to glory. It’s not the first time IBM has reached out to consumer audiences, both through its research projects eg. The Genographic Project as well as through its technology advances with IBM Supercomputers: Watson, which took on game show Jeopardy and Deep Blue which took on World Chess Champion Garry Kasporov. Most recently IBM announced plans for Watson to put on his chef’s hat. However what this latest move reveals is that IBM is exploring how the brand can become more relevant to consumers and bring to life the role IBM and its many products and services already play in peoples lives. IBM has long been involved in scientific research, particularly in the area of computing, and at a time when computer technology has never been more important to consumers’ everyday lives, you can see IBM’s strategy here is to bolster brand awareness. There’s also an element of educating / reminding consumers of the history of IBM and the part it has already played in people’s dlives. Arguably IBM is looking to emulate the success companies such as GE have had in bringing to life the role they play in consumers lives, and their futures. GE has had a lot of success with branded entertainment and transmedia projects both locally with Two Words for Tomorrow and in other markets through projects such as GE Gallery and GE Focus Forward Films. IBM’s strategy is simple yet smart. To use entertainment and storytelling to take complex and potentially difficult to explain concepts and bring them to life in a compelling way for audiences. Here is a company brimming with fascinating research, great ideas, and interesting stories to tell. What’s not to like about this? The film is compelling, interesting and very simple. The ‘Making Of’ film is the real gem though, the passion of the scientists makes for great viewing and the message that comes through here is all about inspiring a generation to follow science. IBM has excelled with this film and the entire content platform beneath it. The challenge will be maintaining this across the brand’s other research projects, products and technologies. However if the stars of this project are anything to go by this should be a walk in the park. IBM has created a really compelling branded entertainment project and a great platform to build on. This is one to watch with interest.